First there was Bridget Jones' Diary, then Legally Blonde, and now there is The Diary of a Hounslow Girl. So what is a 'Hounslow Girl'? A 'Hounslow Girl' has become a byword for young Muslim women who wear hooped earrings along with their headscarves, tussling with their traditional families while hustling their way in urban West London. Feisty, young women, grappling with traditional values, city life and fashion. 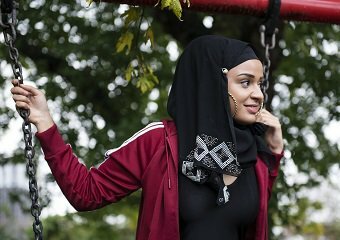 A comic story of dreams, aspirations and coming of age, The Diary of a Hounslow Girl is told through the eyes of a 16 year old British Muslim girl growing up in West London. From traditional Pakistani weddings to fights on the night bus, this is a funny, bold, provocative play highlighting the challenges of being brought up in a traditional Muslim family alongside the temptations and influences growing up in and around London.